Plug in the blue four-cube base, and start to play. 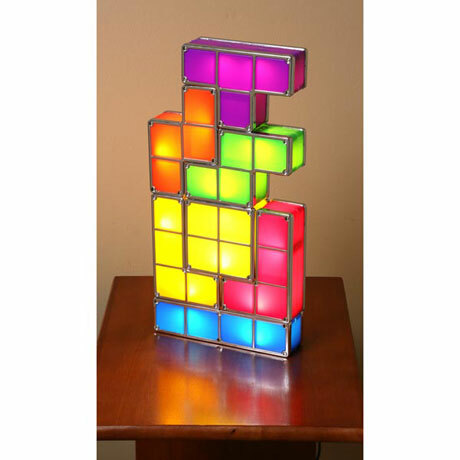 Pile up these individual Tetris elements and they illuminate as soon as they come in contact with each other, so you can create an infinite number of combinations; remove a piece, and its light turns off. UL listed. Seven plastic-andmetal pieces. Base is 6½".